Sorry, can't close this out without mentioning the "country cousin” of doo wop, namely Rockabilly. It's the missing part of the equation of fifties music equals cosmic bliss. The farm boys in the south and midwest weren't going to be left behind. So grab your guitars, buy a drum kit, and let's rock! The rural equivalent of urban inspired doo wop, rockabilly tore a swath up and down the hinterlands like wildfire. Thousands of small labels emerged for one or perhaps two releases, which were subsequently scooped by by roving hordes of Europeans decades later and now valued in the stratosphere. The ethereal quality of doo wop was counterparted by a raging frenzy of pumping piano, "teenage" lyrics, and frenetic energy laden guitar riffs. The genetic mutant that this music was (part country, part rhythm and blues) spewed forth the ultimate teenage idol. 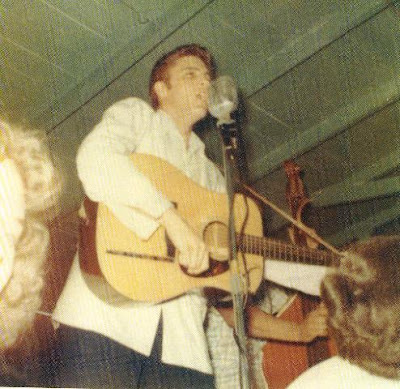 Elvis, king of the teenage universe, bar none. An explosion like none before, (only to be duplicated a few years later by you know who, Liverpool's finest) he personified everything cool at the time, only to be outshined for a brief moment by a film renegade named Dean. Put James Dean and Elvis together, and you have the penultimate fifties persona on the male side. Marylyn Monroe ruled the distaff side of the coin. Add hot rod cars, late night drag races in remote (and not so remote) locales and voila, instant legendary esteem forever. Moonlit nights by the Lake (every town has one) with motors revving in the wee hours, alongside discarded beer bottles, and other ubiquitous "teenage" contraband, littered the physical landscape. On the interior, emotional landscape, both doo wop and rockabilly were musical cheerleaders pushing the boundaries of acceptable social and personal behavior to the limits. Or beyond the limits to the parents of some of the "juvinile delinquents." How much influence did the music have on the actions of young people then? How much influence did the young people have on the music then? No matter the answer. We all know what has evolved from that reckless, turbulent but highly romantic scene. Tracing popular music history back to this turning point gives us insight into the reference points the Baby Boomers of today maintain. With such a rich tapestry of personal history, who could blame them for turning away from what is on the current musical pedestal for idolization. Backstreet Boys? Ho-hum. Madonna, no thank you, I don't think so. Rap? Are you kidding? Can you blame them? 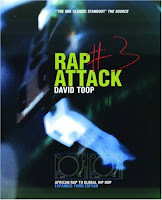 I have recently (January 2010) been rereading, or rather reskimming, David Toop's Rap Attack # 3, which links the growth of doo wop and rap; I may write about this later.